Yesterday I wrote a post titled a “Sad Day for Our Island – Puerto Rico” after watching many videos related to the excessive force used by the police to clear protestors which escalated to violence. 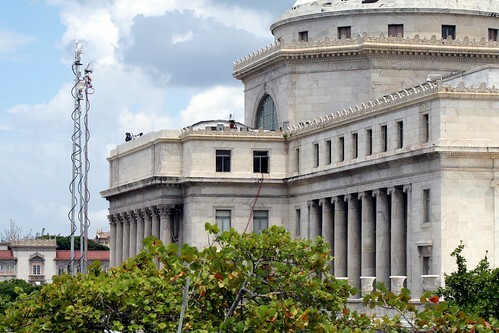 This issue was escalated due to the fact that the President of the Senate, Thomas Rivera Schatz prohibited the press from entering the Senate Floor. I read a good blog post by Gil C. Schmidt (@GilTheJenius) on his blog “Problem Defined” and he has a detailed description. If you read up on @GilTheJenius Blog Post you can read that very clearly what our government has created is a recipe for disaster. It is also very similar to a “Coup de Etat” taking away from our citizens, press, and individuals on the island many freedoms which are bestowed upon us by the Constitution. What worries me even more are all the comments I read on Facebook and Twitter regarding as leaving the Island as an Option to what we faced yesterday and will continue facing? If as citizens of this Island we do not stand and demand that are politicians do the right thing the issues and problems will stay here and never leave. For the reason I do agree with artist and fellow activist @calle13oficial with his tweet. If we think that by ignoring these issues or leaving they will disappear sadly it has not happened yet. For this reason I call you to voice your opinions and demand justice and maybe we can start by having our President of the Senate and Police Superintendent to resign. If you still have doubts why they should resign take a look at some of the videos and pictures on how everything was handled. I leave you two for your own interpretation.